Hot Shot's Secret is an industry leading fuel and oil additive manufacturer. Developing powerful, patented formulas is not where we stop; our team researches and tests continuously until our products are the strongest on the market. Proudly made in the USA, down to the label. Powered by science isn't just a catchphrase. Our recently built headquarters in central Ohio features two laboratories, as well as incorporating the newest safety and chemical engineering equipment currently available. Our in-house team of Chemists constantly tests our products on location and through third parties to ensure our products are the most effective they can be. This procedure allows us to confidently stand behind our formulas and offer money back guarantees on our products. Hot Shot's Secret provides concentrated products to treat oil systems, fuel systems, transmissions and differentials, with a primary focus on diesel applications. Our experts develop our products to be safe for use in all diesel fuel types including biodiesel blends, as well as compatible with all modern emission systems. Created by diesel enthusiasts for diesel enthusiasts, we have a unique understanding of fellow diesel owners' needs and issues. For more than 20 years, Hot Shot's Secret has successfully solved issues for some of the largest companies in North America including American Showa, Midwest Industries and International Truck and Engine. 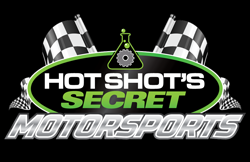 Whether diesel owners are suffering from failing injectors or turbos, excessive friction causing loss of power or fuel economy, or rely on their diesels in harsh conditions such as motorsports or heavy towing; Hot Shot's Secret is the proven answer. Participating in the Diesel racing industry has provided fun and focus on improving technologies. 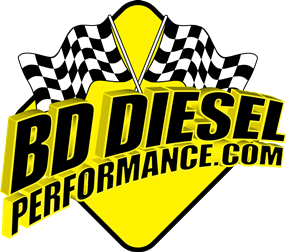 BD's Diesels Fuel Systems, Turbochargers, Transmissions, Exhaust and Intake Manifolds have all advanced because of the Racing industry. For Special Racer prices and direction the BD Race team applications open during the winter months. Thanks to NHRDA and you Racers for keeping this sport alive and driving performance to reach the next level. ARP was the first company to design and engineer fasteners specifical for racing. We developed many patented process for manufacturing high strength fasteners from very strong materials. We have continued to improve our processes and quality control and we are now our manufacturing operations are ISO 9001 and AS9100 registered. There's not another company in the world that is as focused on building superior quality fasteners for all forms of racing and non-racing applications as ARP. For nearly 30 years PPE has been a leader in the diesel performance industry by providing high quality, reliable diesel performance parts and 50 states legal upgrades. With parts available for Chevy, Dodge, and Ford -- PPE has what you need to tackle the stickiest drag strip, control the heaviest trailer or to just simply enjoy a problem-free commute in your diesel. PPE offers bumper-to-bumper upgrades including steering components, a massive list of engine upgrades, transmission upgrades, tuners, as well as differential and transmission pans, plus much more. PPE's Dual Fueler CP3 Kits are the official Dual CP3 Kits of the NHRDA and feature top-level performance capabilities. They can be seen dominating at NHRDA events all across North America. The Dual Fueler CP3 Pump Kit ensures full-fuel delivery to the injectors by maintaining consistent fuel flow and fuel rail pressure as requested by the engines ECM, plus they're 50 states emissions legal. Check out all the innovative products PPE has to offer at www.PPEdiesel.com for more information. South Bend Clutch is a forth generation clutch rebuilder & designer. Three Brothers, Woody, Andy & Peter Pyfer carry on the Heritage of their Father and Grandfather. The business started out rebuilding clutches over 30 years ago and even added the Kevlar linings for higher performance and extended wear. Then about 8 years ago they noticed that the stock clutches for the diesel trucks weren't holding up to the heavy towing or with the modifications being made to the trucks. They designed their own line of high performance clutches with many choices including double and triple disc pulling clutches. The Pyfers' dedication to maintaining a small business attitude is remarkable. South Bend Clutch's business has more than quadrupled in size over the last several years with the first building expansion in 1995 and another in 2008. South Bend Clutch has also expanded into the field of Cryogenics. They have been using Cryogenic treatment to enhance their products as well as improve the performance and life of their machining tools. South Bend Clutch has had great success with Cryogenics and is now offering this amazing service to the public. South Bend Clutch has an extensive list of distributors and resellers/installers which can be found on their website www.southbendclutch.com but they also sell directly to the public. They have highly trained people who will help you pick out the appropriate clutch for your application and will never try to over-sell to you. South Bend Clutch prides themselves in producing a quality product and back it up with great customer service. Give them a call at 1-800-988-4345. For 50 years, Summit Racing Equipment has been the World's Speed Shop®. Summit Racing is the world's largest e-commerce, mail order, and retailer of performance automotive parts and accessories. Summit Racing offers a huge selection of parts in stock from over 1,500 manufacturers for all forms of racing, street performance, off-roading, restoration, tools, and yes, diesel. It also offers no-hassle special ordering, fast ground service shipping to most areas of the country, and same-day shipping on in-stock items. Summit Racing has the industry's top-rated customer service and a full-time technical department to answer your questions. With headquarters in Tallmadge, Ohio, Summit operates distribution and retail stores in Tallmadge, Sparks, NV, McDonough, GA, and Arlington, TX. RacingJunk.com, the world's largest online motorsports marketplace, is a free "one-stop shop" for those looking to buy, sell, trade, or interact with people throughout the automotive and motorcycle racing and performance communities. With over 650,000 registered members, RacingJunk.com connects more than 2.8 million buyers and sellers every month, viewing more than 70 million pages. RacingJunk.com is a property of MotorHead Media, which owns a portfolio of automotive, motorsports and powersports niche online marketplaces. Other MotorHead Media properties include OldRide.com, HotRodHotline.com, CollectorCarNation.com, SprocketList.com and BikerHotline.com, with a combined total of 80 million page views and 1.8 million unique visitors. MotorHead Media is a division of Internet Brand. VP Racing Fuels was founded by Steve Burns, who initially exhibited his aptitude for R&D in the early 1970's as a young racer in San Antonio, Texas. Self-taught in chemistry and physics, Steve was convinced the race fuel manufacturers of the day were falling short in their quest for optimum horsepower. To address this shortcoming, he began experimenting with exotic blends of fuel, much to the dismay of his parents whose garage served as Steve's laboratory. Steve began at the local tracks of Texas, where racers tried his fuel and liked the power gains. His first fuel was christened "C12™," the word spread and Steve's company was founded as VP Racing Fuels in 1974. VP Racing Fuels introduced "TORQ DX," its newest diesel race fuel formula which tests have shown to offer more power, more torque and more consistent engine temperatures. Following the introduction of VP TORQ Diesel, TORQ DX represents the next generation in VP's quest to develop top performing diesel racing fuels, according to Steve Burns, VP's Founder and Director of R&D. "Our chemists and Tech Support staff worked with top engine builders to fine tune and test TORQ DX and we're very pleased with the results," said Burns. To order VP TORQ DX, contact your VP Regional Distribution Center listed online at VPRacingFuels.com/contact/ to locate the nearest VP dealer. Technical questions about VP TORQ DX can be directed to VP's professional Tech Support staff at 812-878-2025 or tech@vpracingfuels.com. 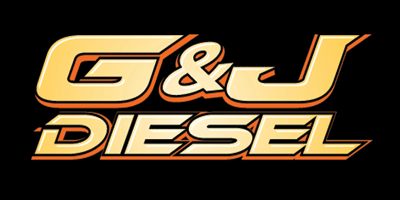 For over 20 years G&J Diesel Performance Center has been serving Billings, Montana and the surrounding area. Specializing in the maintenance, service, power and performance of Ford Powerstroke, GM Duramax, and Dodge Cummins diesel trucks. G&J is an 8 bay full service and installation shop complete with a chassis dyno. As both the Owner and builder of the world famous ìDirtymaxî G&J is no stranger to what it takes to run strong both on the track and off. As a direct distributor of much of the merchandise in our extensive product line, we are able to offer products and services at extremely competitive pricing. So call us today, toll free, at 1-800-813-6366 and someone from G&Js knowledgeable staff will assist you with all your diesel automotive needs. Randy's Offroad Connection was established in 1995 with the goal and intent to provide one stop shopping for their customers. With over 75 years of sales experience and a very knowledgeable staff that can assist you and advise the best way to customize your vehicle. Randy's Offroad carries a very extensive product line up to include the top manufactures in diesel performance, suspension lifts, after market truck accessories, ring and pinion and differential parts, transmission and transfer case kits, Bumpers and winches, plus many more products to customize you vehicle. Randys Offroad also has a 5 bay installation and fabrication shop that can make your vehicle go from mild to wild and transform your vehicle into the truck of your dreams. Basically if it is for a truck or SUV Randy's Offroad Connection is your one stop for all your needs. Industrial Injection opened for business in 1985 primarily as a fuel injection and turbo shop servicing industrial, agricultural and mining equipment. For this reason Brady Williams named his company Industrial Injection. From the start Industrial Injection has had an interest in helping farmers, truckers and miners with horse power gains, fuel economy and reduced emissions. When Ford, Dodge and GM decided to power pickup trucks with diesel engines Industrial Injections business was forever changed. Industrial Injection is a fully authorized service center for all makes and models of fuel injection pumps, injectors and turbochargers. With over 40 highly trained employees and one of the nations largest inventories Industrial Injection has the capabilities of servicing your needs. Customers can be confident when buying from Industrial Injection knowing that qualified professionals have built their products with genuine parts using state-of-the-art equipment. Industrial Injection also offers a full line of performance engine products covering everything from gaskets to complete high performance race engines. Commonly known brands of Industrial Injection are: PhatShaft, Super PhatShaft, Silver Bullet, Dragon Flow, Dragon Fire, Double Dragon and Thunder 330. The United States Motorsports Association (USMA) is a 501(c)4 nonprofit organization that exists to promote the powerful economic benefits of grassroots racing across America. Protect: The USMA is mobilizing racers, participants, industry, and fans to take action and voice the benefits of racing. Promote: The USMA actively engages elected officials through racing events and political rally's. Provide: The USMA conducts public and private research of value to the racing industry, government agencies and public officials. Elected Officials don't realize the many benefits racing in the United States provides, especially Grassroots Racing. We are being over-regulated and under-valued. The NHRDA has partnered with the United States Motorsports Association (USMA) and the SAVE GRASSROOTS RACING campaign. We are asking everyone to take action and Register your Petition. It only takes a few seconds and it's completely free. To thank you for your support the NHRDA is providing 1 Free Raffle ticket to WIN a Polaris RZR 1000. Just enter code: NHRDA when registering your petition. Your data is safe, secure and never sold. You'll be kept informed of issues facing your area of the country, or the nation, along with the latest news and information about issues facing grassroots racing.